I run a 100% remote company, and I don't love paying monthly fees. I've tried a lot of different tools, but there are some we come back to, time and time again. Below are the tools we use (or have used in the past) to run our business. We created a series of plug-and-play templates to make selling digital goods easier. Little did we know how many people would find the templates in this promotion toolkit supremely useful. Email marketing is the one recurring fee we pay without question. How else are we going to communicate with our customers? 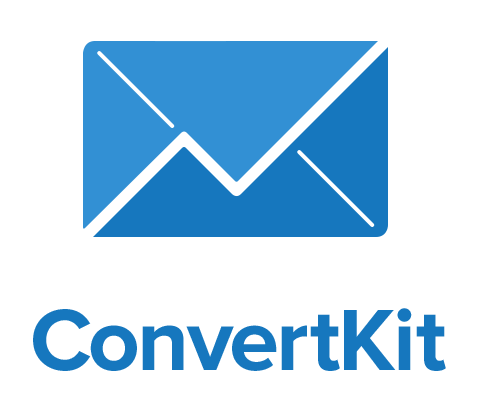 ConvertKit: Email Marketing for Creators Price: from $29/mo ConvertKit is great for bloggers and online entrepreneurs. It's easy to send emails, the support is AMAZING, and they're constantly adding new pieces. ActiveCampaign: Easy-to-Use Marketing Automation Price: from $11/mo We've just gotten started with ActiveCampaign, and we're impressed. This is a heavy hitter, and their automations look really straightforward and easy to use. You need a website, but you don't need to let your lack of website slow you down. Buy a domain. Get hosting. Then buy a premium theme to make it pretty. Beaver Builder Price: From $99 Our favorite page builder, easy to use, super robust and helpful support. iStock Price: From $29/month Get amazing stock photos from iStock! They also have video, audio and illustrations available. Credits or monthly subscription options. Convert Pro Price: $99/year This is the plugin we use to capture email addresses. It's easy to use (drag & drop! ), easy to test (what's working? what isn't?) and increases sign ups. Earnist Price: from $49/year This WordPress plugin makes affiliate links both beautiful and FTC compliant. Showcasing your links helps increase conversion rates. EverWebinar Price: $497 EverWebinar is the easiest on-demand webinar system we've tried. It's a one-time purchase, and gives you everything you need. StepShot Price: $119/year The best help authoring software for creating training manuals, technical blog reviews, software workflow presentations and step-by-step guides with no hassle. MindMeister Price: Start for Free! An amazing tool that lets you brainstorm in visual format! Create a mindmap, share with others and import it to MeisterTask to make it come to life. Top Tracker Price: Free This is what we use to keep track of time by project. You can add multiple members to each project, run reports and edit your activities. SocialBee Price: From $29/month Our choice for social media scheduling. Easy to set up, easy to run.